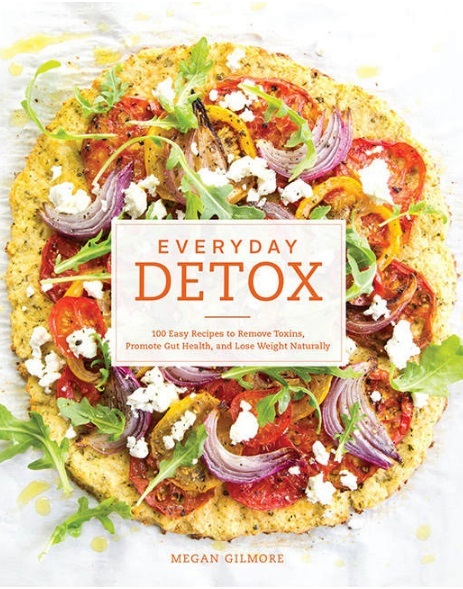 Words like ‘cleanse’ and ‘detox’ make you cringe if the vision you image is consuming nothing but lemon juice, cayenne pepper, and water for seven days. Those extreme measures are not required to bring the body into balance. 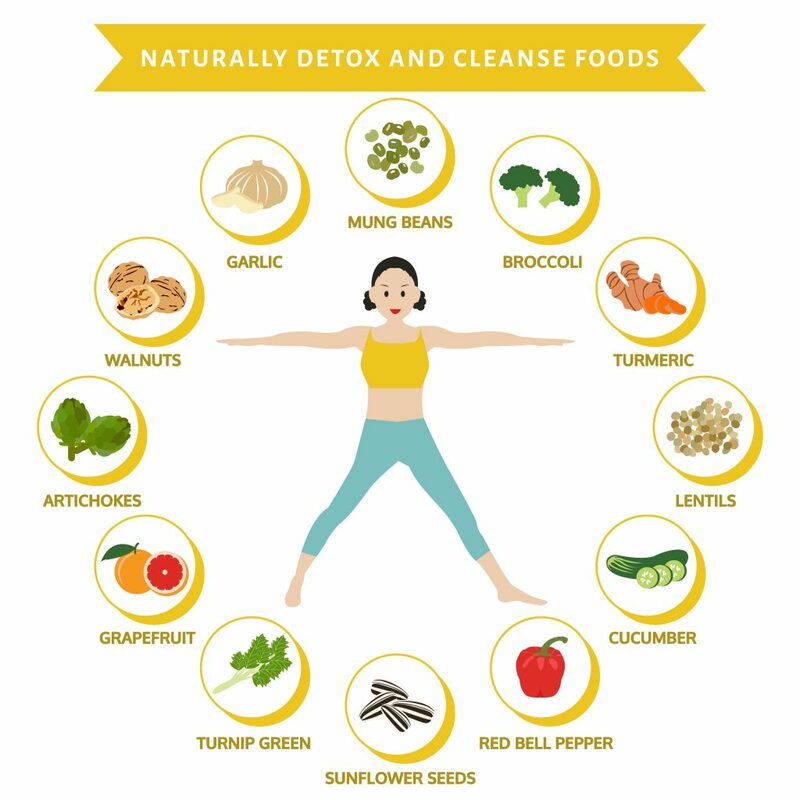 There is an abundance of foods, found in nature, that naturally cleanse and detoxify the system. 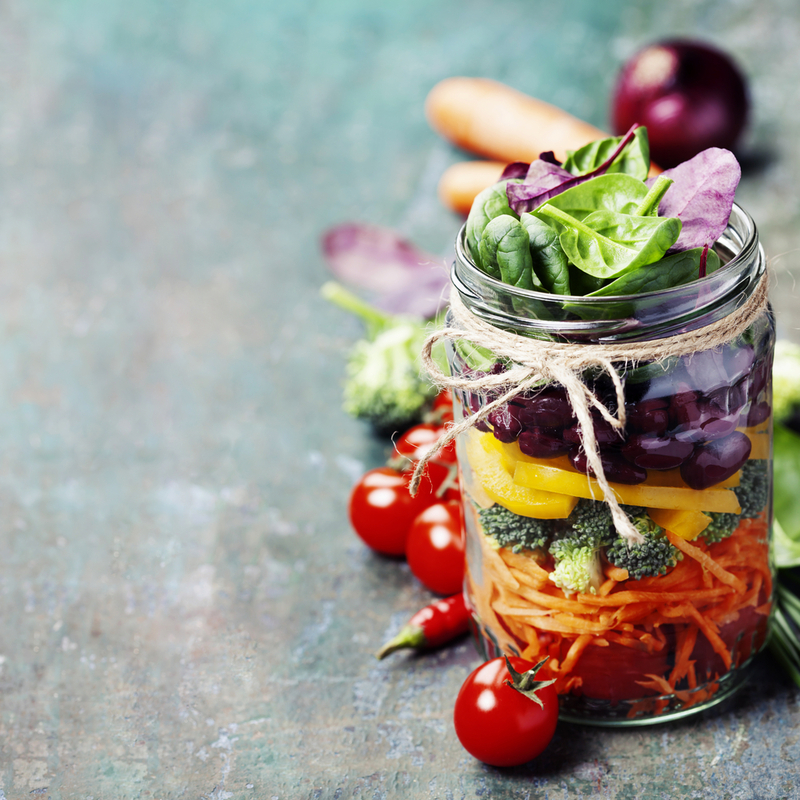 Consider adding the following foods to your everyday diet to aid in body maintenance. The average cucumber is 95 percent water. This vegetable helps alkalize the body and flush out toxins as it delivers powerful nutrients. 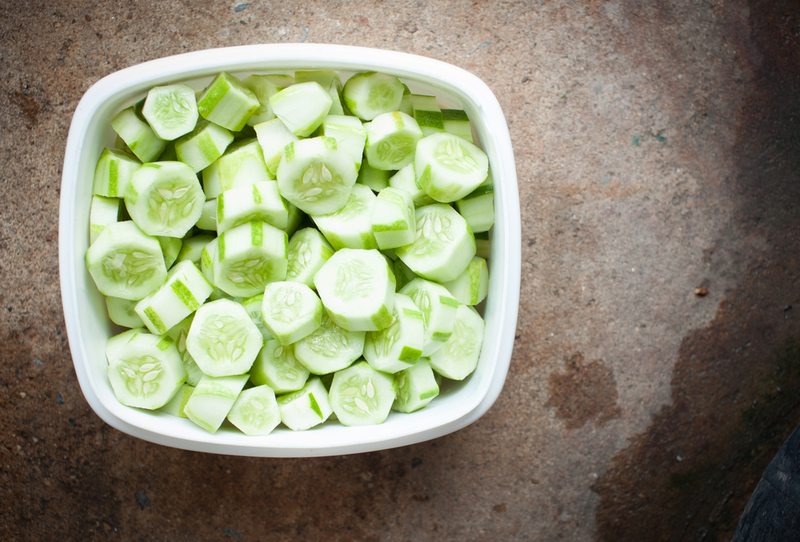 Cucumber slices can be added to water for rehydration. Cucumbers belong to the botanical family that contains cantaloupe, watermelon, and squashes. Cucumbers contain three lignans that research shows are connected to reduced risks of cardiovascular disease and several types of cancer. Among them are prostate, ovarian, uterine, and breast cancer. There are antioxidant, anti-inflammatory properties in cucumbers. Substances in fresh cucumbers scavenge free radicals, which help improve the status of antioxidants and inhibit pro-inflammatory enzyme activity. The overproduction of nitric oxide is prevented. Research suggests the phytonutrients in cucumbers have a role in providing anti-inflammatory and antioxidant benefits that support health. Production of detoxification enzymes is stimulated in the liver by the consumption of garlic. 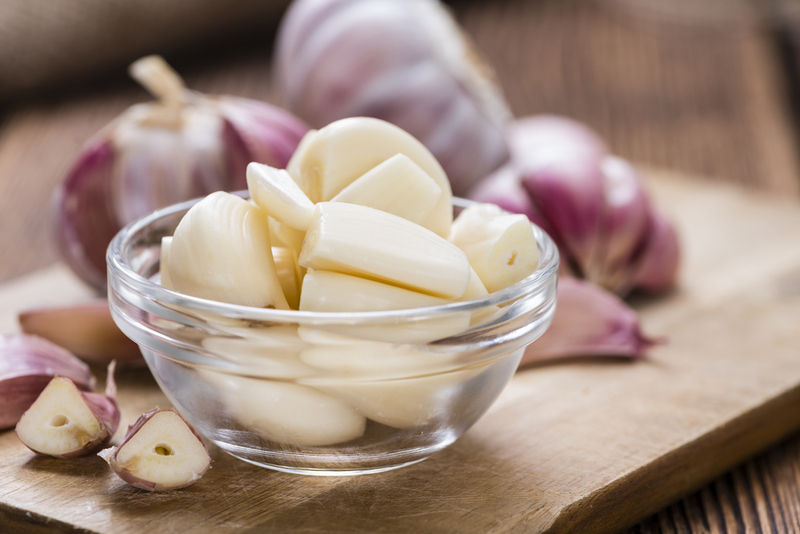 The ancient Greek physician, Hippocrates, prescribed garlic as a treatment for various medical conditions. Modern science confirms many of the beneficial health effects. Garlic is a plant in the onion family. It grows in many places throughout the world. Garlic is a popular cooking ingredient due to its delicious taste and distinct smell. A garlic bulb has between ten and 20 cloves that make up what is called the ‘head’ of a garlic plant. Most of the health benefits are derived from the sulfur compound, allicin, that forms when a clove of garlic is chewed, crushed, or chopped. Allicin enters the body through the digestive tract and travels throughout the body. Garlic supplements boost the immune system function. 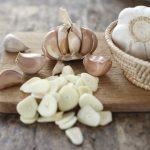 A 12-week, intensive study showed daily garlic consumption reduced colds by 63 percent compared to a placebo. Garlic supplements have an impact on blood pressure reduction. The recommended dosage is fairly high. Four cloves of garlic daily are needed to achieve the desired effects. High doses of garlic seem to improve hypertension in people with high blood pressure. While some people do not like broccoli, there is no denying the nutritional value it has. 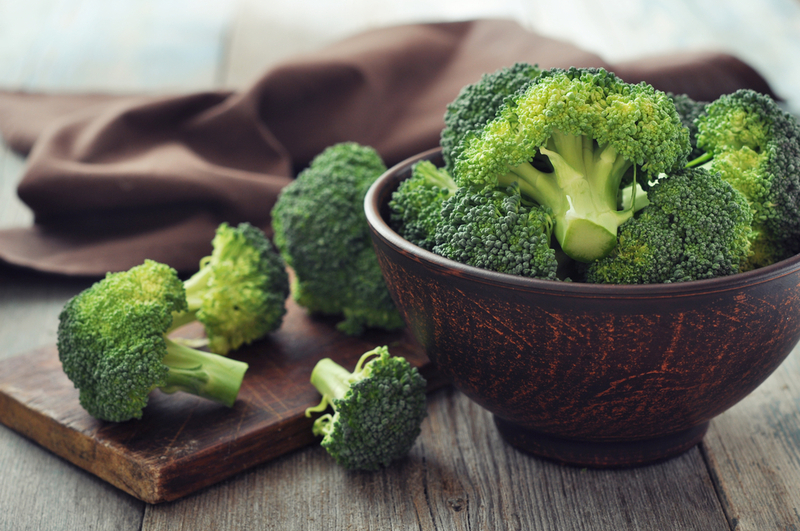 A large dose of vitamins that neutralize and eliminate toxins is delivered when broccoli is consumed. One cup of broccoli has the recommended daily amount of Vitamin C. Vitamin C is an antioxidant that fights against free radicals. Broccoli is also helpful in the repair of damaged skin. It contains glucoraphanin that helps in skin detoxification and repair. The body uses glucoraphanin to generate sulforaphane, an anti-cancer compound. The compound rids the body of the bacterium, H. pylori, which has been found to increase gastric cancer risk. Indole-3-carbinal is another anti-carcinogen and an antioxidant compound found in broccoli that hinders the growth of prostate, cervical, and breast cancer. Liver function also receives a boost. 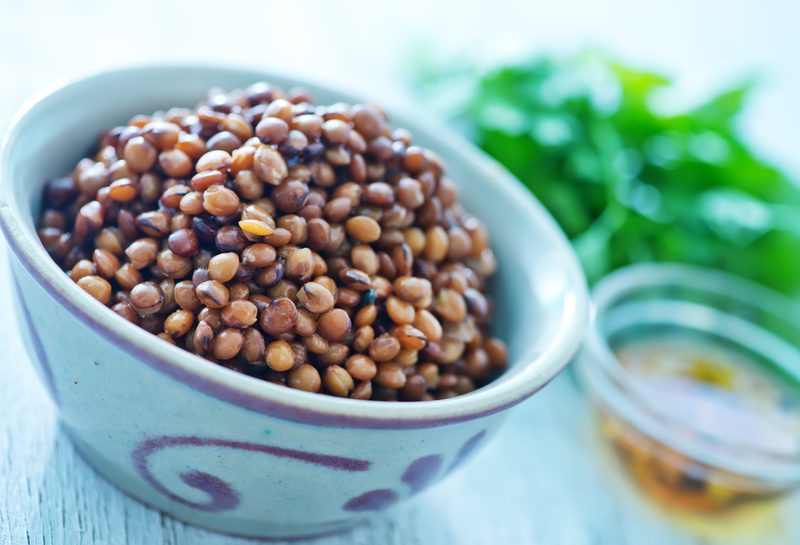 One cup of lentils has 62.5 percent of the recommended daily amount of fiber-rich food. 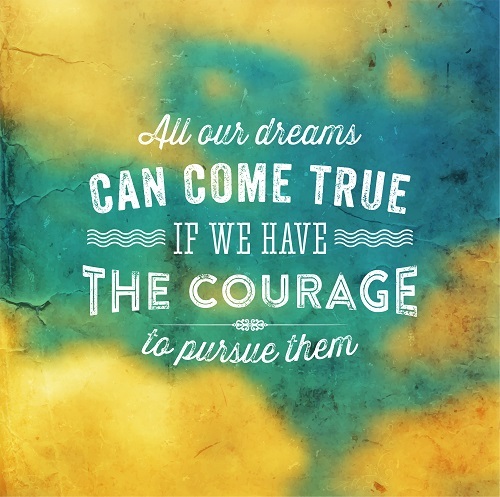 They aid in balancing blood sugar, lowering cholesterol, and eliminating toxins. Lentils are low in calories and are high in nutrition. They are perfect when added to salads and spreads, for crackers and crudité, and as part of a vegetarian dinner plate. The high level of soluble fiber is what aids in lowering cholesterol levels. Lower cholesterol levels reduce stroke and heart disease risk by keeping the arteries clean. The insoluble dietary fiber also helps with digestive disorders such as constipation, diverticulosis, and irritable bowel syndrome. Lentils contain iron that is used for oxygen transport throughout the body. That transport is key to metabolism and energy production. Ayurvedic doctors used mung beans for thousands of years. The easy to digest bean absorbs toxic residue in the intestinal walls. Mung beans are high in soluble fiber and low in cholesterol. 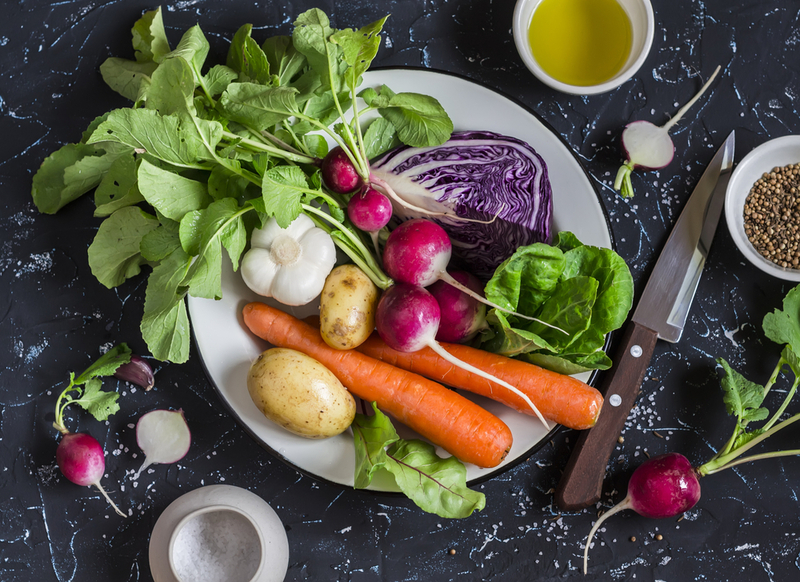 Foods that are rich in soluble fiber help lower LDL cholesterol by encouraging the production of receptors that remove excess LDL cholesterol from the bloodstream. Ten to 25 grams of soluble fiber daily reduces the amount of LDL cholesterol. 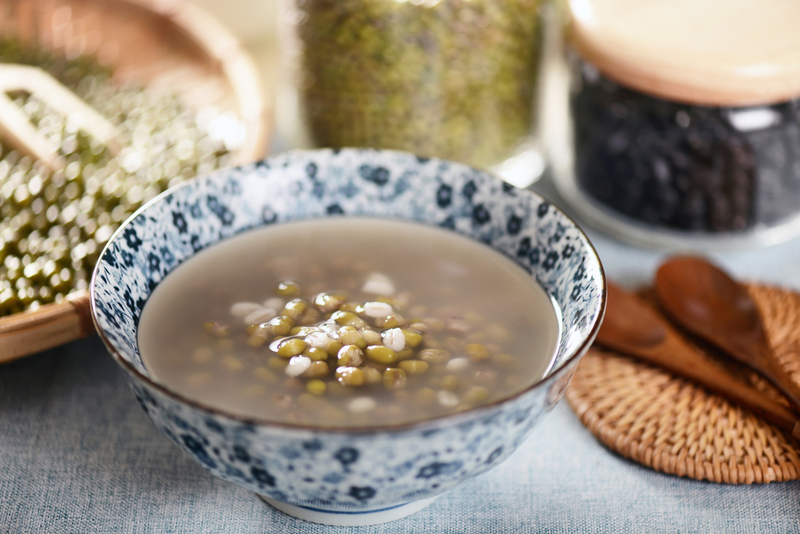 A cup of mung beans has 1.9 grams of dietary fiber. Mung beans contain protease inhibitors that slow certain cancer cell replication including those in breast cancer. Protease inhibitors prevent and block tumor cell formation. The low glycemic index of mung beans make them a diabetic friendly food. This tiny spice is amazingly good for you. 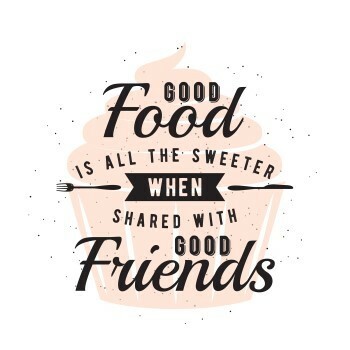 A couple of tablespoons contain nearly 20 percent of the daily manganese requirements, 10 percent of iron, five percent of Vitamin B and approximately three percent of fiber, copper, and potassium. Curcumin, an active ingredient in turmeric, helps suppress fat tissue growth in the body. The more turmeric that is eaten, the better the chance of meeting weight loss goals. Evidence indicates it may be effective as an anticancer agent. 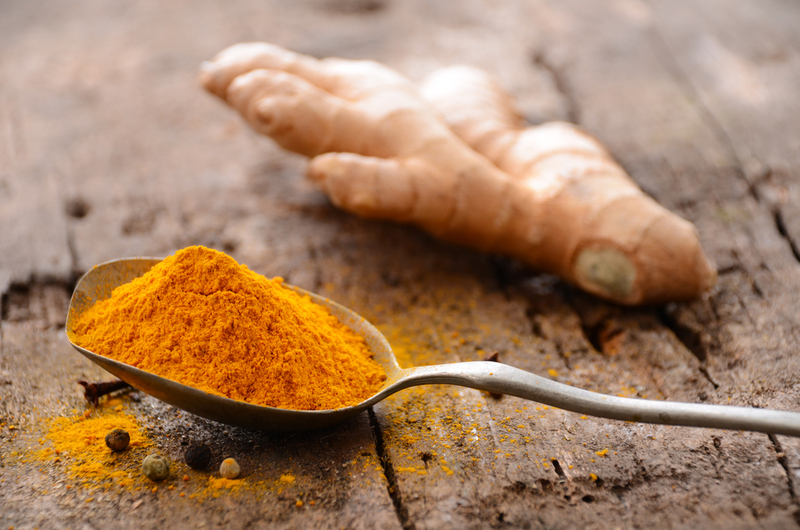 The most well-known turmeric benefits are delivered to the liver. The liver is a major detoxification organ. Cleansing blood toxins is the primary function of the liver Curcumin neutralizes free radicals. Free radicals are missing an electron which causes them to stick to human cell tissues. Potassium can be hard for kidney disease patients. Red bell peppers are low in potassium. They contain fiber. Vitamin B6, folate, Vitamin C, lycopene, and Vitamin A. B6 and folate contribute to red blood cell formation and help prevent anemia. Vitamin C plays a role in the body’s metabolism, blood flow, and energy production. Red bell peppers contain over 200 percent of the needed Vitamin C intake. Vitamin C helps in the absorption of iron. 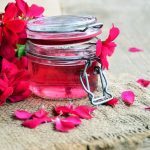 It helps turn toxins into material that is digestible. 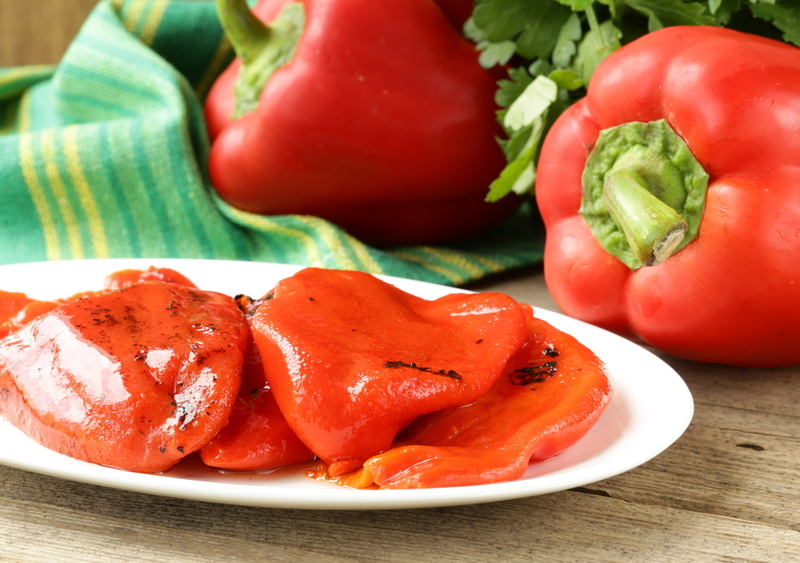 The lycopene in red bell peppers is a powerful kidney health antioxidant that prevents renal failure. Lycopene helps prevent many cancers including lung and prostate cancer. The Vitamin A in red bell peppers supports healthy eyesight. 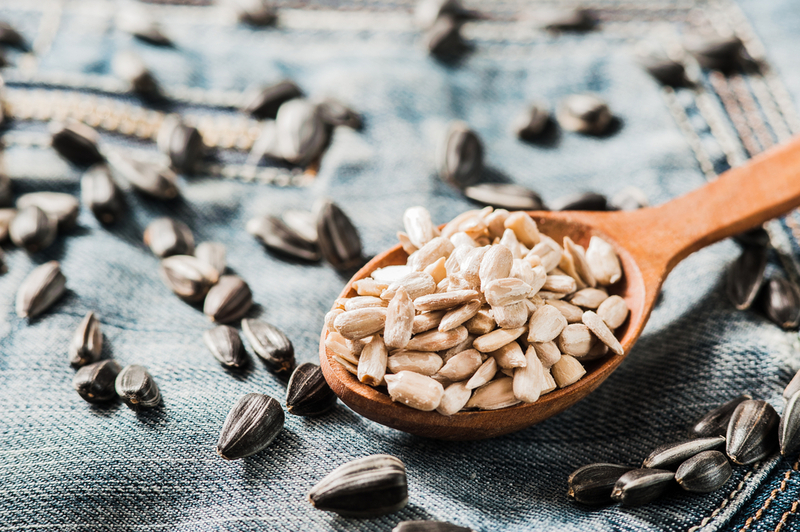 A handful of sunflower seeds with their mild nutty taste and firm, yet tender texture, takes care of hunger pangs and delivers a wealth of nutrition. Sunflower seeds are a source of Vitamin E. Vitamin E is the primary fat-soluble antioxidant the body needs. As Vitamin E travels through the body, it neutralizes free radicals that damage fat-containing molecules and structures such as cholesterol, brain cells, and cell membranes. Protecting these cellular and molecular components causes significant anti-inflammatory effects that reduce symptoms of rheumatoid arthritis, osteoarthritis, and asthma. 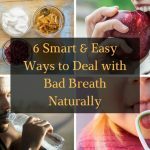 Inflammation and free radicals play a big role in these conditions. Vitamin E is among antioxidants that help prevent free radicals oxidizing cholesterol. Only oxidized cholesterol can adhere to the walls of blood vessels. These nutritious powerhouses are loaded with nutrients with very little calories. 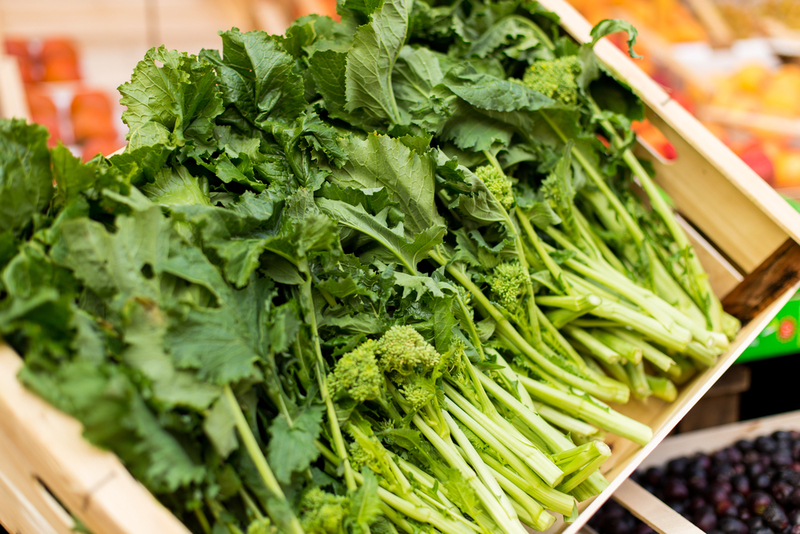 Turnip greens rank among top foods scored by the Aggregate Nutrient Density Index. The ANDI measures phytonutrient, mineral, and vitamin content. Turnip greens earn 1,000 points, which is the highest possible score. While thinking about maintaining healthy hair and skin, turnip greens probably do not come to mind. They should because they are packed with Vitamin A which is a nutrient required to keep hair moisturized and for all bodily tissue growth. Turnip greens are also a powerful source of antioxidant Vitamin C that fights the formation of cancer-causing free radicals. 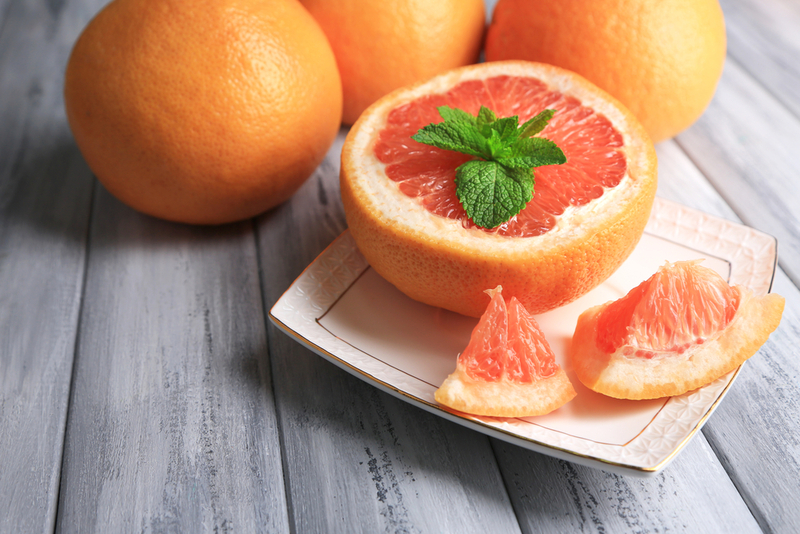 Health benefits of grapefruit are nearly unmatched and more wide-ranging than any other fruit. It is loaded with benefits derived from various vitamins and nutrients, including lycopene and potassium. Grapefruit is low in calories and high in fiber. It contains plant chemicals such as bioflavonoids that protect against the formation of tumors, heart disease, and cancer. Grapefruit increases the metabolic rate, lowers insulin levels, and gives a feeling of normality and fullness. It assists the body in fighting conditions such as excess acidity, urinary problems, indigestion, constipation, diabetes, malaria, fever, and fatigue. Not only are artichokes delicious, the humble artichoke is a nutrient powerhouse that has amazing health benefits. The American Journal of Clinical Nutrition published an article that stated artichokes provide greater antioxidant benefits with a single serving than many foods traditionally considered to be rich in antioxidants such as red wine, blueberries, and dark chocolate. Fresh artichokes contain rutin, quercetin, anthocyanins, and other antioxidants. The health benefits range from protection against heart disease, immune support, and cancer prevention. An artichoke, 120 g in size, provides 10.3 g of dietary fiber. 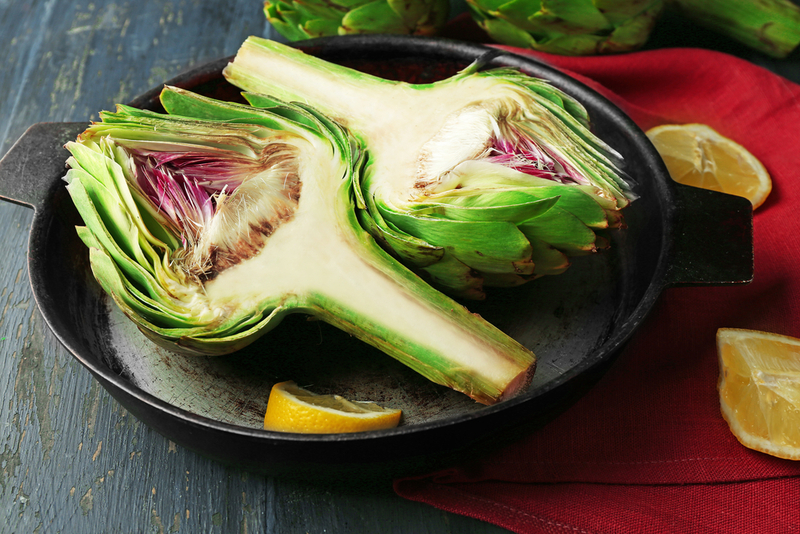 That amount of fiber makes artichokes a powerful tool for regularity and improves digestive health. 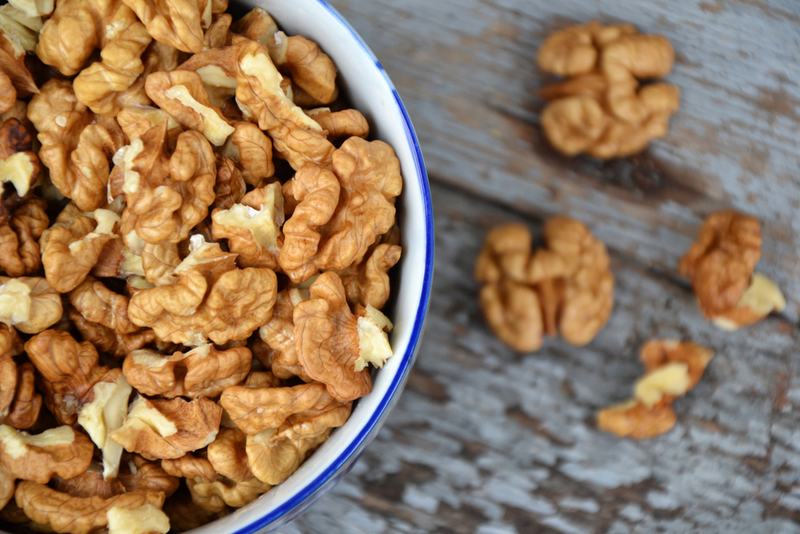 A few walnuts go a long way. Walnuts are food for the brain and detox the liver. 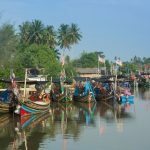 They are a good source of omega-3 fatty acids and glutathione. They taste great sprinkled on a spinach salad. Walnuts have a variety of minerals and vitamins vital for efficient detox system function. They are also a good source of fiber. Walnut oil is just as effective and can be substituted for olive oil in dressings for detox vegetables and salads.